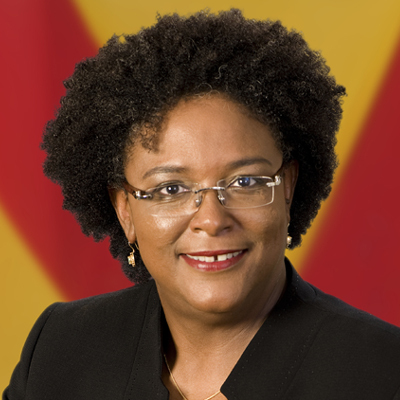 The Honourable Mia Mottley was sworn in as Barbados’ eight prime minister May 25. BASSETERRE, St. Kitts – Prime Minister of St. Kitts and Nevis the Honourable Dr. Timothy Harris has joined his fellow CARICOM heads of government in congratulating the Hon. Mia Mottley QC on being appointed prime minister of Barbados, making her Barbados’ first female head of government. Prime Minister Mottley assumed leadership of the country after the Barbados Labour Party (BLP), which she leads, recorded a crushing landslide victory in the general elections May 24 by winning all 30 seats and unseating the Democratic Labour Party (DLP), headed by Freundel Stuart.